Strona główna > Fototapety>Bouquets with violet roses and pink peonies with gray leaves on the white background. 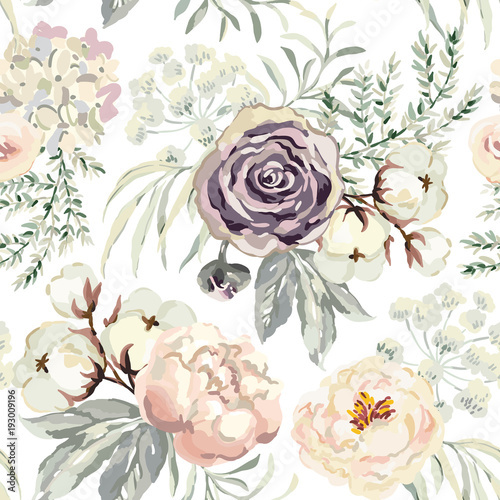 Watercolor vector seamless pattern. Romantic garden flowers. Elegant illustration. Fototapeta Bouquets with violet roses and pink peonies with gray leaves on the white background. Watercolor vector seamless pattern. Romantic garden flowers. Elegant illustration. Bouquets with violet roses and pink peonies with gray leaves on the white background. Watercolor vector seamless pattern. Romantic garden flowers. Elegant illustration.